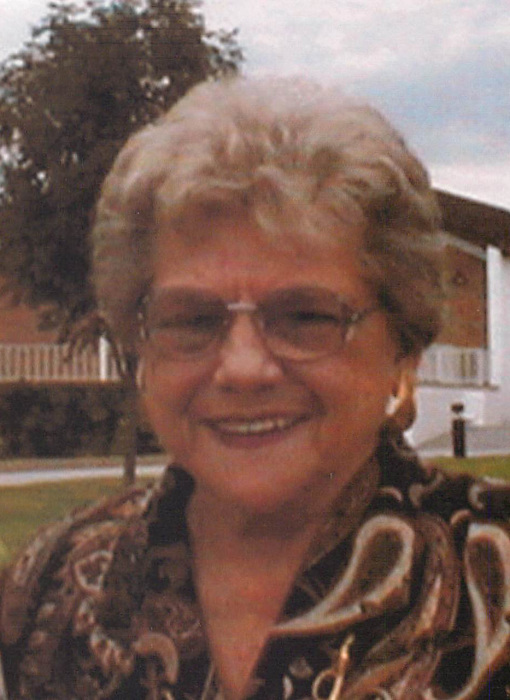 Dolores E. Wolf, 87, of New Carlisle, passed away Sunday, April 7, 2019. She was born April 21, 1931, the daughter of the late William and Elizabeth Sievers. Dolores is a member of St. Timothy's Lutheran Church of Huber Heights. She is preceded in death by her husband Robert Wolf and siblings William Sievers and Helen Hill. She is survived by her daughter Sheryl (Richard) Ritter; son Barry (Laura) Wolf; grandchildren Tyler (Elizabeth) Wolf, Corey Wolf, Hayley Fannin and McKenzie Fannin; great-grandchildren Aubrey Wolf and Maximus Wolf; a niece and several nephews. The funeral service to honor Dolores will be Thursday at 11:00 AM in TROSTEL, CHAPMAN, DUNBAR & FRALEY FUNERAL HOME, with visitation beginning at 10:00 AM. Burial will follow in Ferncliff Cemetery. Expressions of sympathy may be made at www.trostelchapman.com.